Sutphen Corporation, headquartered in metropolitan Columbus, Ohio, has been a leading manufacturer of fire trucks and fire-fighting apparatus since 1890. A family-owned business, the company builds top-of-the-line aerial platforms, as well as extruded aluminum pumpers, ladders and walk-around rescue vehicles. Today the company runs four factories in Ohio and one in New York, primarily building custom-order trucks for fire-fighting departments throughout North America. 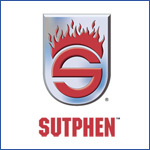 Sutphen executives turned to Affiliated to help them re-evaluate their expanding manufacturing, accounting and sales processes. After a full-scale business and IT review, Affiliated recommended that the fire truck manufacturer upgrade their IT infrastructure with a virtualized environment as well as search for a flexible and powerful enterprise resource planning (ERP) solution that would give Sutphen a way to automate and standardize key manufacturing, accounting and sales processes into a single, fully integrated system. In today's less than perfect economy, the new system would help the company to streamline workflows and realize greater operational efficiency and cost savings. "Affiliated has been our go-to advisor and integrator for IT upgrades and improvements to our business," says Kathy Allton, Sutphen's IT Manager. "But we had grown and added on to our systems without updating our core infrastructure. So the first thing Affiliated recommended we do before implementing the new ERP system was to upgrade our infrastructure. The existing system just couldn't support where we wanted to go as a business." To begin the upgrade, Affiliated wanted to eliminate the old "one server, one application" model and run multiple virtual machines on each physical machine. This would not only free IT administrators from spending so much time managing servers, but allow them to focus on innovation and process improvements. Affiliated built a new automated data center at Sutphen on the production-proven virtualization platform, VMware® vSphere™. This allowed the company to reduce the physical hardware requirements from 13 servers to 4 servers. "We're anticipating VMware vSphere saves us up to 50 percent of overall IT administrative costs by consolidating resource pools, reducing administrative and maintenance costs, and improving availability of servers and applications," Allton said. The virtualization platform also allows server activity to be easily managed through a single console. This greatly improves control over IT infrastructures without sacrificing the flexibility to choose any operating system, application and hardware. In Sutphen's case, they wanted to convert from a primarily UNIX-based system to a Microsoft platform, ranging from the operating system to Microsoft Office and Microsoft Outlook for e-mail. To provide a more consistent environment for employees, Affiliated implemented the Windows 2008 platform, including Active Directory covering the corporation and Microsoft Exchange Server as the mail server. Explains Allton, "By converting to all Microsoft solutions, the computer screens have a similar look and functions appear uniformly in all applications facilitating training. Another huge improvement has been how employees are now able to view other coworker's calendars to check their availability to set up meetings. This greatly improves the way our people can collaborate on projects. It's a big change. Administratively, it has also been a big improvement in efficiency in the way we handle user and application access." The VMware vSphere platform helped Sutphen improve the local-area network, allowing them to balance loads between servers, add fault tolerance in case a server goes down, and provide much-needed disaster recovery. Data is now automatically backed up and protected on two remote servers. As part of the IT upgrade to improve internal communications, Affiliated implemented a Citrix® XenApp™ presentation server to virtualize applications shared by the Sutphen facilities. Approximately 50 employees can view applications and workflow, driving newfound efficiencies. Once the infrastructure upgrade was completed, Affiliated had established a reliable, highly available IT platform to support the implementation of Sutphen's chosen ERP system, Microsoft Dynamics AX 2009. The new ERP system provides Sutphen with a solid and scalable foundation for growth when the economy bounces back. "Affiliated provided us with the expert analysis and solutions to transform our IT infrastructure in the most cost effective manner possible," Allton says. "Their team is truly an invaluable resource to have on call, 24/7, whenever we need a trusted advisor." "Affiliated provided us with the expert analysis and solutions to transform our IT infrastructure in the most cost effective manner possible; their team is truly an invaluable resource to have on call, 24/7, whenever we need a trusted advisor"
A leading manufacturer of fire trucks wanted to improve efficiency and support a growing business by implementing a full-scale Microsoft ERP system, but needed to upgrade an aging infrastructure first. Business and IT consultant Affiliated performed a full-scale IT Review, and then implemented new servers running various Microsoft and virtualization software, including VMware® vSphere™, Citrix® XenApp™ and Microsoft® Dynamics™ AX 2009. Saving as much as 50-70 percent of overall IT costs by consolidating resource pools and reducing administrative/maintenance costs; reduced the physical server requirements from 13 servers to 4; greatly improved collaboration and internal communications capabilities; established foundation for Microsoft ERP solution, growth and innovation. "Affiliated helped us to refocus on growing our business without worrying about our IT infrastructure. Now we're better positioned to innovate, collaborate and take advantage of new opportunities quickly as the economy recovers."